Your Dedicated Eye Doctor, David M. Dickman, M.D. cataract surgery, diabetic eye care, glaucoma, and refractive surgery. Dr. Dickman graduated from Brown University with a degree in biology, and later received his medical degree from Jefferson Medical College of Thomas Jefferson University. He completed his internship at the Albert Einstein Medical Center. 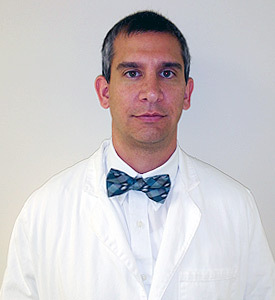 Dr. Dickman completed his ophthalmology residency at Drexel University, where he served as Chief Resident. He has participated in scientific and clinical research since college, including at the Lankenau Medical Research Center, Jefferson Center for Neuroscience, and Wills Eye Hospital. Dr. Dickman is board certified by the ABO (American Board of Ophthalmology) and is a member of the ASCRS (American Society of Cataract and Refractive Surgery) and the AAO (American Academy of Ophthalmology). In addition to his duties at local hospitals, he has served as Chief of Eye Care Services for Community Health Care, providing free care for the underserved of New Jersey. Dr. Dickman is married to Dr. Joanna Kipnes, an internal medicine physician at Duke University. The Dickmans have three beautiful children, twin girls and a boy.